Rifton small pacer gait trainer is a comfortable and supportive gait trainer which can be used either for an involved child or for a child who only needs minimal help with assisted walking. Pacer trainers are renowned for their modular design, durability, and flexibility. 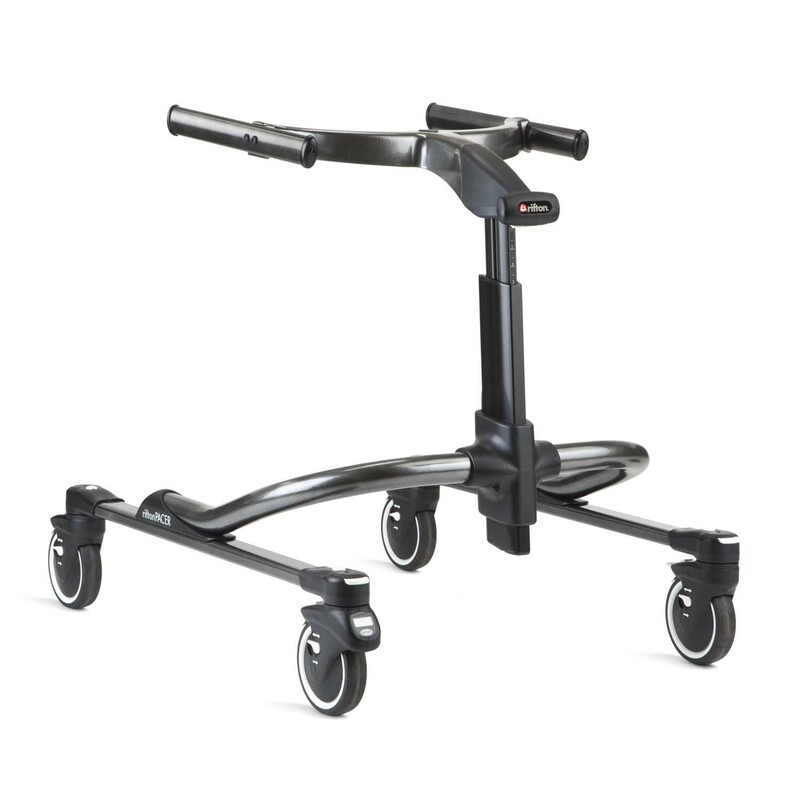 Pacer gait trainer provides outstanding support and control as they walk. Pacer easily carries into the trunk of a car to their modular design; Pacers encourage forward progress for clients and the places they want to go. Pacer is designed for easy rear access to make transfers into and out of this mobility walking aid as smooth as possible, whether the client will face forwards or backwards in the frame. Using the Pacer gait trainer, children learn to initiate forward motion and maintain forward momentum, building skills and muscular control with every step. Floor to top of arm prompt 19" - 29"
Floor to top of MPS (not tilted)* 10" - 20"
Overall width Standard base: 23"
Overall length Standard base: 26"
Frame height Standard & utility bases: 16" - 21"
Treadmill/stability bases: 23" - 35"
Base height (without upper frame) Standard base: 11"
Frame weight (lbs.) Standard base: 11½"
Dynamic upper movement Vertical: 1¼"